Teeth Lost, Hearts Won es el título del segundo trabajo del trio australiano The Grates, en el que continúan con su divertido luminoso y desenfadado pop, Un disco muy recomendable que de momento sólo esta editado en Australia. Burn Bridges es su primer singley video. 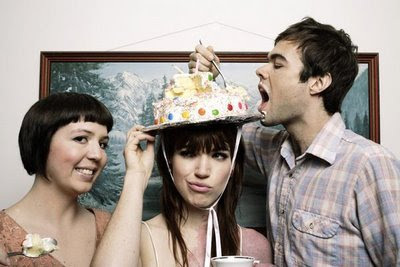 Teeth Lost, Hearts Won, is the title of the second work by aussie band The Grates, in which their deliver more of their fun, shinny and catchy pop. A highly recommended record that at the moment is only published in Australia. Burn Bridges is their first single and video.